Members are any employees of the Administrative Office, Federal Judicial Center, District Court, Circuit Court, Bankruptcy Court, Probation, Pretrial, Court Reporters, Law Clerks, and other stakeholders in compliance with the FCCA Bylaws. The Membership Year is January 1 - December 31. Members are encouraged to review and update their profile each year. 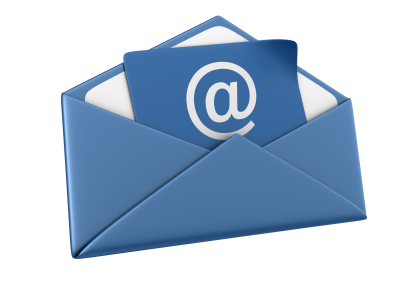 It is also important that retirees provide an e-mail address to receive FCCA notifications. The purchase of a lifetime FCCA membership entitles the member to a lifetime membership in the Federal Court Clerks Association while employed by the Federal Judiciary. Should the member retire or separate from the Judiciary, their membership with the FCCA will continue to remain in effect. However, should the FCCA be notified that an FCCA lifetime member was terminated for cause or resigned in lieu of termination, the Board of Directors shall determine if that lifetime membership should be revoked for good cause shown. Lifetime membership dues are not refundable. 1. A Voice in Court Administration and Employee Benefits. 2. Personal and Professional Development. Member Matters Newsletter - a FCCA member from each Circuit along with a FCCA board member is spotlighted in each edition! FCCA sponsors an annual $2,000 Deputy Clerk Scholarship Program. Individuals may receive up to $500 for a work or career-related course or up to $250 (or the amount of the registration fee, if higher) toward the FCCA conference. 3. Career Enhancement & Network of Contacts. Members from circuit, district and bankruptcy courts, as well as the Court of International Trade, Claims Court, MDL Panel, and the Arizona and Texas Training and Support Centers. Membership will put you in touch with the most experienced and capable people in the judiciary. A network of contacts, through the JOURNAL, annual conferences, and a framework to meet people who can help you find answers to the recurring efforts we all face in the federal court administration. FCCA's new Career Guidance Program (CGP). The CGP is a peer-to-peer process which utilizes the knowledge and career advice of our more experienced members to assist other FCCA members who seek guidance in their career development. Join a committee and help us grow together as an association.